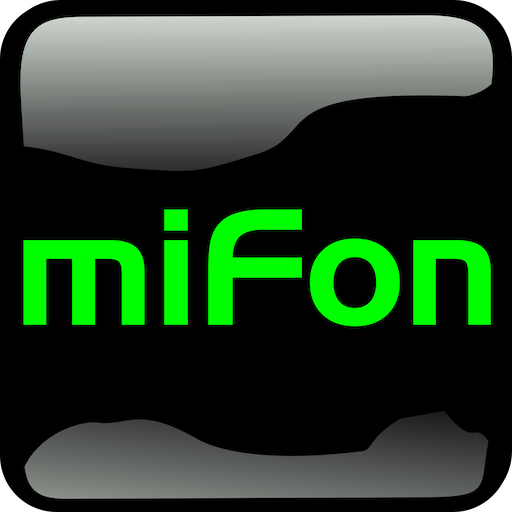 miFon is the best in class Android Anti Theft App which ensures you will never lose your phone. 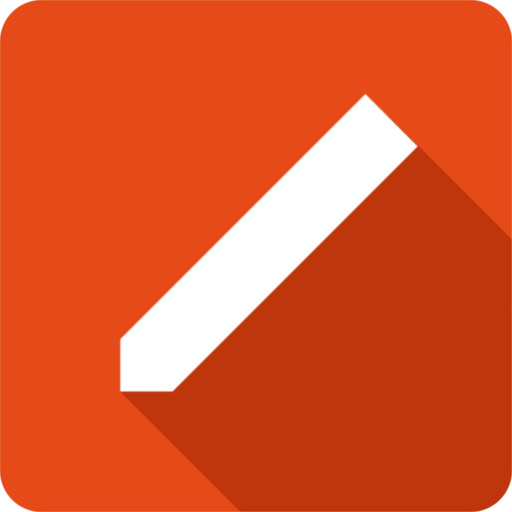 Get the best lost phone tracker out there to track your stolen or misplaced phone. It is by far the most comprehensive phone anti-theft app as it includes several tools that keep your precious information protected and even offers personal security. You can control your phone with just an SMS. Unlike most others, mion works without internet also. miFon Smart SOS Distress Mode further gives you the peace of mind that you can smartly alert your selected contacts in case there is any personal emergency. - Lost Phone Tracker. Ever misplaced your phone on silent mode and wasted hours finding it? That will never happen with miFon, as you’ll be able to send an SMS to your phone and wail a siren (even if it’s on silent mode) to find it or lock it. - Best Anti-theft App. In the unfortunate event that your phone gets stolen, you can rely on this full security suite to get it back. 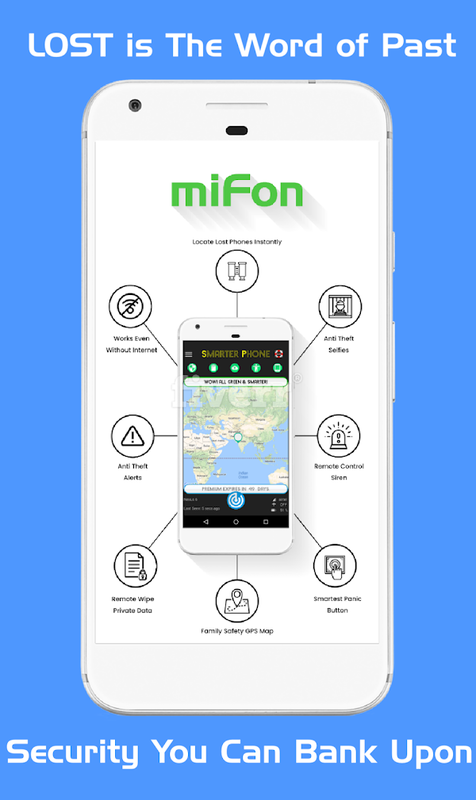 You’ll be able to get a thief’s photo, keep track of where it is and even have full control over it from anywhere in the world this makes miFon the best in class anti theft app. - AutoX Smart Automation. In today’s digital life, the phone contains valuable personal data and all of these can be safeguarded using miFon autoX feature, which you set up once and will automatically backup up all your valuable SMS, Photos etc securely. - Smart SOS Distress Mode. Best way to seek help in personal emergencies. 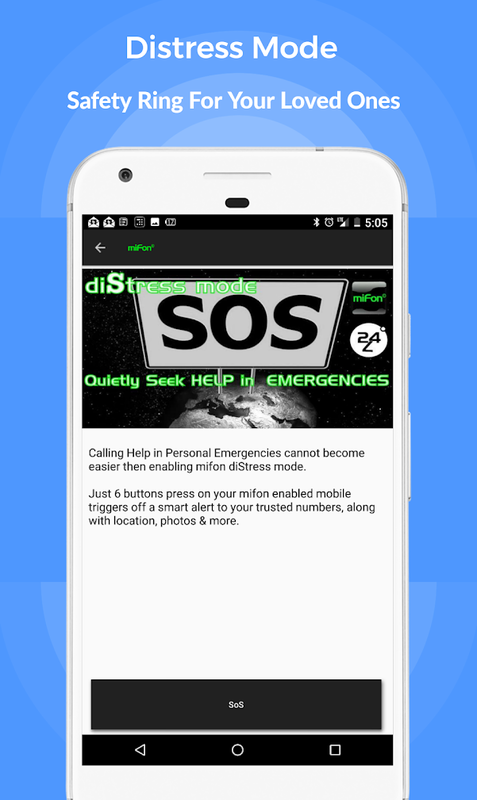 Invoking SOS Distress Mode will alert your preset contacts automatically and they will get an SMS alert as well it will make their phone ring a siren, even if it is set to silent mode (Requires MIFON app on their phones to ring the siren). - Remote mobile siren app. 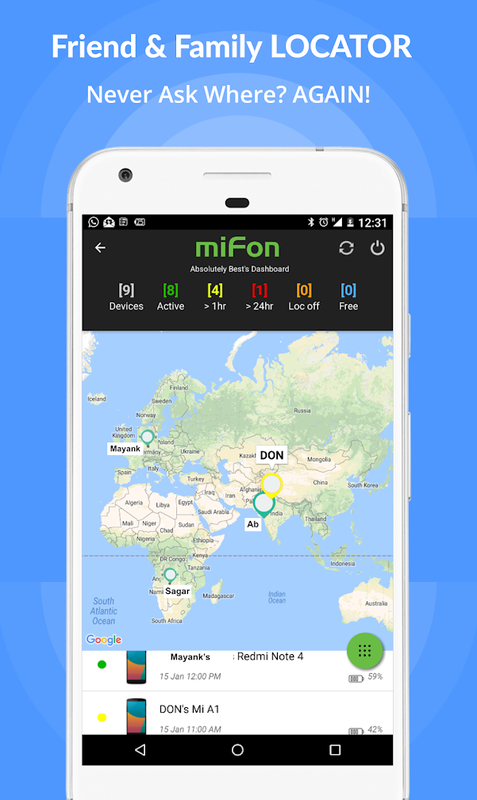 Reliable remote control Retain full control over your phone from anywhere in the world, as long as miFon is installed on it. You can ring your mobile siren with our remote siren feature. Just send an SMS and ring your siren remotely. Great way to find your phone when misplaced or lost. - Remote phone lock app. If you misplace your phone or its stolen then you can customize your lock screen remotely. You can change the lock password and put custom lock message on the phone screen. 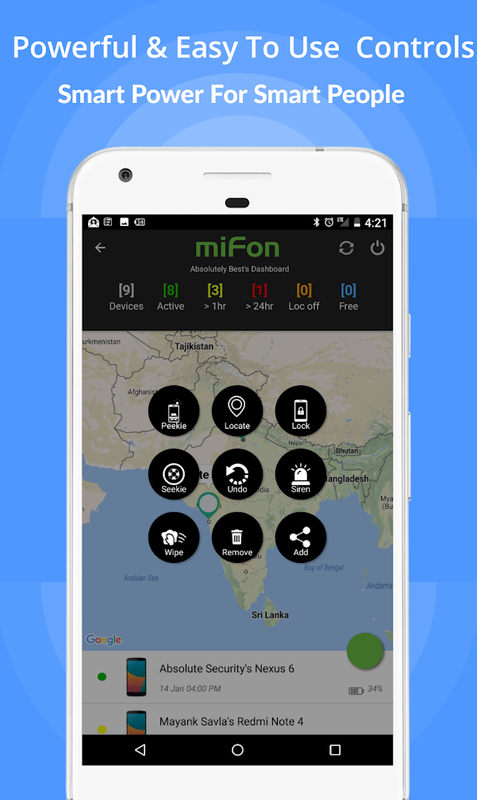 Get mifon to find your stolen app. 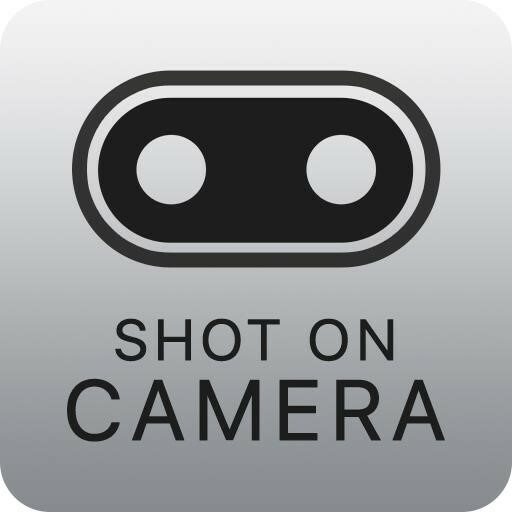 - Remote Selfie App (Theifie). 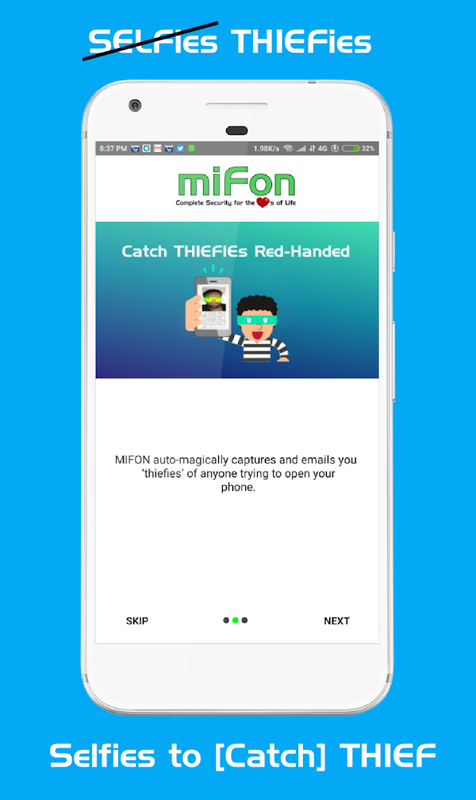 If your phone gets stolen and someone tries to open it unauthorized way, miFon triggers selfie automatically for your which will be sent to your email so you know who is trying to access your phone. Get remote selfie app to protect your phone. With remote selfie it is very easy to track your stolen or lost phone. 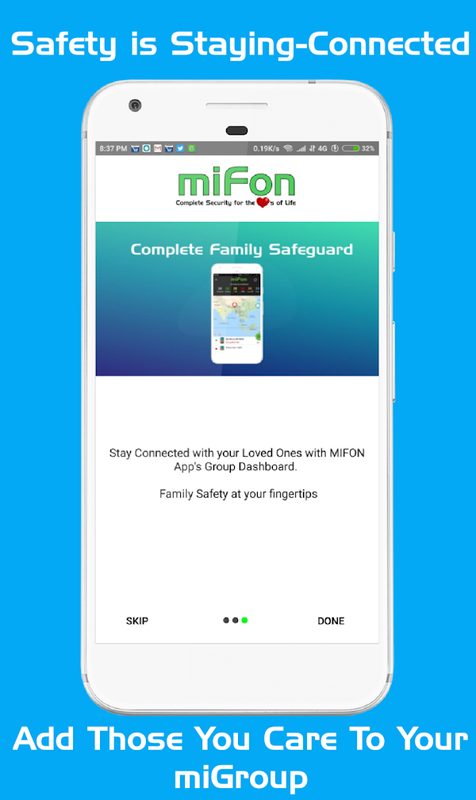 miFon is your no.1 choice in terms of Android Phone Anti Theft Security Suite App as it offers protection not only for your phone & data, but your family as well. Become miFon secured now.